Murphy Business is one of the largest and most successful brokerage firms in North America with over 180 offices across the United States. Our Seattle office is located in buzzing and leading edge South Lake Union. 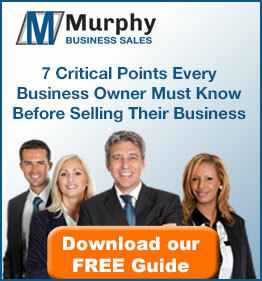 Murphy Business Northwest has strong, beneficial connections in King, Pierce, Snohomish, Skagit, Whatcom, Kitsap and Island Counties including: Seattle, Fremont, Ballard, Belltown, Capitol Hill, Queen Anne, University District, Kirkland, Redmond, Bellevue, Renton, Mercer Island, Newcastle, Woodinville, Bothell, Mill Creek, Lynnwood, Everett, Bellingham, Monroe, Tacoma, Bremerton, Port Orchard, Poulsbo, Sequim, Port Townsend, Gig Harbor, Federal Way, Des Moines, Auburn, Kent, Puyallup, Olympia, Lacey, Puget Sound, West Seattle, and the San Juan Islands. Small Business is alive and well in Seattle. Seattle has 12.5 businesses per 100 residents. That’s the highest of 42 major metropolitan areas surveyed. Clearly, there are a lot of incredible businesses in every neighborhood business district in the Puget Sound area.